So, do you know yourself, really know yourself? Seems like an obvious question with an automatic answer, but it is not so easy. The definition of us is so much more than skin deep. And we are not defined by our weaknesses, but informed. 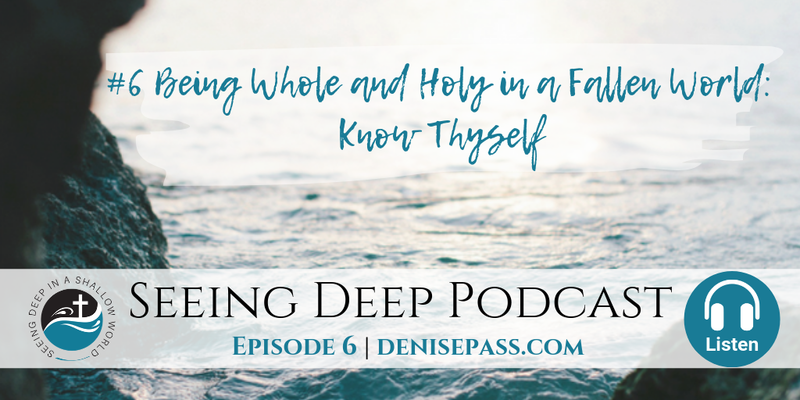 Listen in as Denise Pass examines Scripture and the relevance knowing ourselves can have on us being whole and holy in a fallen world. I have found myself in many conversations saying how I would do this or do that, but really, I never know until i am faced with that situation or moment and my true self imerges. I have grown in Christ to the point that Ican at least say that I know the right way and ask for courage to choose it. Amen. His grace is sufficient. And by His grace we will rise above our sin and walk in the Spirit, not the flesh.